Sometimes loving your husband takes practice. It doesn’t always come natural but there are some practical ways to do it. Sometimes loving your husband doesn’t happen naturally or with ease. Sure, it’s easy to love when everything is going well and all our needs are being met. But when the going gets tough, we need to learn to dig a little deeper in order to love more intentionally. Growing in marriage means going beyond the surface of emotional love to the depths of deliberate love. This digging deep kind of love is what helps you weather storms because your roots grow as you practice loving when it’s hardest to love. This list is taken straight from 1 Corinthians 13. 1. Be patient with him. No matter what it is that’s driving you crazy about him, or what struggles he’s facing, be patient with him. Take a breath, and pray for your own heart to develop this patience. Love is patient and by showing patience, you are showing love. 2. Be kind to him. I don’t know why, but I have noticed many wives speak down to their husbands and are generally just unkind to them. Kindness is a cornerstone of love. Being locked into a committed relationship does not give us license to be mean. When you’re having a tough day, dig deep and be kind anyway. 3. Be honest with him. There’s a time to share honest communication and a time to wait. When the time comes to share concerns, be honest about them, but do it in a kind manner. 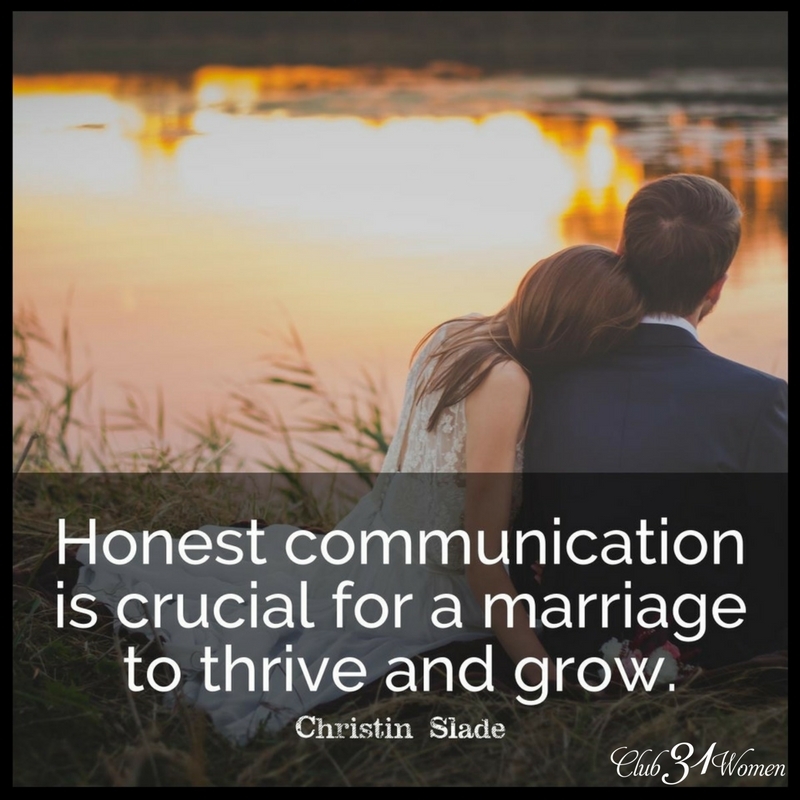 Honest communication is crucial for a marriage to thrive and grow. Also, don’t hide things from your husband. This will only shake or break the trust in your marriage. I don’t mean from physical harm, necessarily. If people you are in conversation with attack him or speak down about him, speak up and protect him. Protect his character and integrity. Always speak well of him to others. If you need to seek help with certain struggles, do it privately with someone who can be trusted. This can be tricky because if you have experienced situations in your marriage that have broken that trust, building it up again takes time. But there needs to be a starting point. Trust can be a very empowering motivator to want to be trustworthy. Forgiveness can help us begin or continue to build trust. Also, trust him to make decisions for your family! 6. Hope for your marriage. All marriages struggle at some point or another. Some struggles are larger than others, but most can heal and be made whole again. There is always hope even when we hit rock bottom. God designed marriage to be for life. Always seek Him for counsel through His Word. All husbands make mistakes and have struggles. As his wife, we ought to be his biggest support and helper. Because that’s what love does. It perseveres, and love covers a multitude of sins. That means that no matter what*, you’re always fighting for love. Every day we have the opportunity to show practical love to our husbands and practice a deeper love than what comes easy or natural for us. This is the place where the hard ground of marriage is broken up so something beautiful can grow. Christin has been married to her high school sweetheart for 17+ years and together they have seven children. She enjoys writing, reading, and challenging herself to new things. 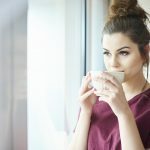 Very timely and helpful article! I especially like the part where you said your roots will grow as you practice deliberate love over emotional love. Being married for 31 years, I can certainly attest to that!! Love this so very much!!! This is the way I love my stubborn, such a mess, have to keep my eye on him An steer him to the right direction sometimes!!!! He’s by no means perfect. He’s been a lot of heart break an hurt in my life…. yet he is perfect for me an I will stick by him an love him through every obstacle. I think Hod choose me to teach him and be the 1st in his life to show an teach him forgiveness an unconditional love!!! What wonderful faith and love you have!! Your response encouraged me. I’m so glad! 🙂 Thank you! I don’t have any personal experience with this, but I think there are some principles that are Biblical that would apply to your situation! I’m saddened to hear of that struggle, and I know the Lord Himself is touched with our feelings (see Hebrews 4:14-16) and has compassion on your pain. He may not choose to intervene and deliver you from that situation but it is certainly possible with Him! So the answer to your question, I believe, is no, it is not possible for you to make your husband fall in love with you, but it is very possible with God, that God will bring your husband to that place again. One other source of comfort may be to consider that the Lord Himself views each of us as lovely because of the beauty of the holiness of Christ, in Whom we are placed, accepted in the Beloved, made holy and without blame before Him in love from before the foundation of the world and for all eternity. (Ephesians 1.) God romances His people, drawing us with lovingkindness (Jeremiah 31:3), no matter how others view or treat us. “The LORD thy God in the midst of thee is mighty; he will save, he will rejoice over thee with joy; he will rest in his love, he will joy over thee with singing.” -Zephaniah 3:17. “Baali” is a transliteration of the Hebrew word for “my lord.” “Ishi” is a transliteration of the Hebrew word for “my husband.” I think that is beautiful. As far as what to do, the first thing would definitely be praying (as you likely already have been doing!) James 5 tells us that the effectual fervent prayer of a righteous man availeth much, and as I Corinthians 1 and II Corinthians 5 teach us that we have the righteousness of Christ, we know that our fervent prayer will make a difference. It may not have the outcome we want or ask for but it will certainly make a difference. Regardless, God does all that He does for His glory and our good. “If God be for us, who can be against us?” (Romans 8:31b.) This heartbreaking situation is against you, but God is for you, and He is greater than all. Secondly, remember that it is not in your control what your husband feels or does, nor is it your purpose or responsibility to make him love you. Your responsibility and purpose is to glorify and love God, and a big part of this is loving our fellow human beings and especially His people. I would recommend seeking to be like the Lord in your interaction, and trusting in God that serving your Lord in this way is its own reward, as well as trusting Him for the results (hoping for change in your husband but not making that your goal.) Treat him with lovingkindness and respect and as you would want to be treated- all the basic things we should be doing anyway. The only thing really specific to the situation that I can think of that you might do is to ask him his preferences on things. If your husband is willing to work on it, perhaps the two of you could study love/charity and/or marriage in the Scriptures together. Additionally you both could go through a book like The Five Love Languages (I have read some of this and think it can be helpful to grow romantic feelings, whether they are absent completely or merely have room for improvement, simply by encouraging conversation about what makes each spouse feel loved and be attracted to one another) or The Love Dare (haven’t read that one but the basic concept as seen in the movie Fireproof seems like it would be helpful.) Speaking the truth in love seems most crucial. Most important is not to lose sight of your purpose to please the Lord, not merely your husband, and likewise not to lose sight of your worth and value in God’s eyes irrespective of how your husband feels! Praying for you to have great success in the Lord!